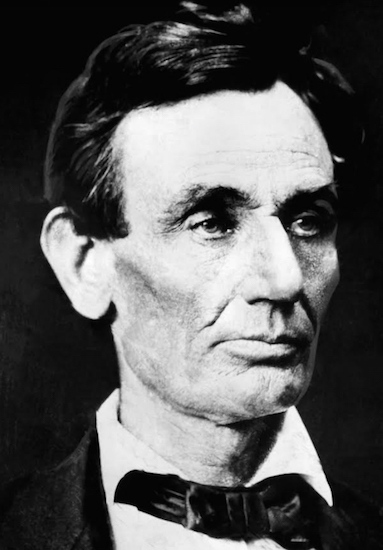 Aside from being our nation’s 16th president, Abraham Lincoln is the favorite son of Illinois. As proof, almost every county in the state asserting some form of attachment to him. Lake County was also no stranger to “Ol’ Abe,” counting one heralded visit to Waukegan and his numerous relationships with members of the local legal community. His approaching Feb. 12 birthdate gives the municipality’s history arm an opportunity to display an acquisition, which it happened upon almost by default. 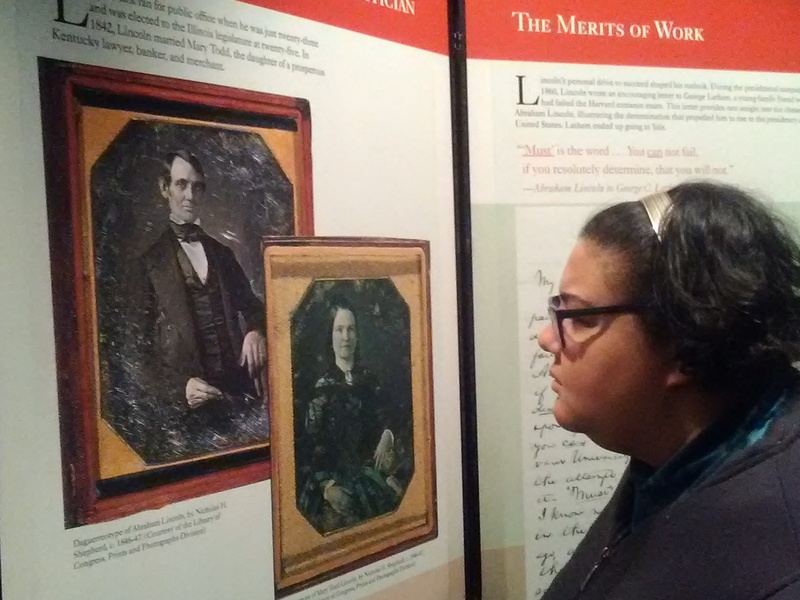 The Waukegan Historical Society and the Waukegan Park District are jointly presenting a “pop-up” exhibition: Abraham Lincoln … A Man Of His Time, A Man For All Times. The free event has been extended through Feb. 28, in the theater of the Jack Benny Center For The Arts, at Bowen Park. How it came to Waukegan is its own story. “What occurred is that the historical society president, Josh Bill, was receiving an award from the Gilder Lehrman Institute of American History, as he is also a social studies teacher at Waukegan High School,” said Ty Rohrer, the manager of cultural arts for both entities. “He was at a meeting and discussions were taking place about their Lincoln traveling exhibits and finding them a new home where they can be retired. The traveling display will next be shown by the Lake Forest Historical Society, and Rohrer said each subsequent exhibition by the various historical societies will add its own local artifacts for the duration of its run. Panelboards surround the theater stage area, each conveying a different aspect of his life, the impact of the time and circumstances, and his actions as “an agent of change.” The centerpiece is a glass case containing mold reproductions of the famous Lincoln life-mask and hands, cast by artist Phillip Volk. Their connection to Waukegan history coincides with his April 2, 1860 visit to Waukegan. Lincoln was not yet a presidential candidate, but under consideration in April 1860, when he came from Chicago to Waukegan for a speech. That month, he sat for the life-mask in Volk’s Chicago studio. In May 1860 came the nomination, and Volk went to Springfield for hand casts of Lincoln, who sawed off part of a broomstick to hold in his right hand. In the hallway of the museum leading to the display are wall hangings and other artifacts depicting the Civil War era, along with remembrances detailing the toll of Lake County’s sacrifice in lives given to the cause. The details were not lost on student Jennifer Ashley, who toured the entire presentation. The program runs through Feb. 28, Monday-Thursday, from 10 a.m. to 9 p.m., Friday, from 10 a.m. to 5 p.m., Saturday, from 10 a.m. to 4 p.m., and closed Sunday. 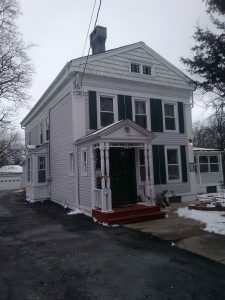 The Jack Benny Center for the Arts and Waukegan History Museum are located at 39 Jack Benny Drive, Bowen Park, in Waukegan.